Following its split from IBT last October, Newsweek was set with the task of reasserting itself as a trusted, independent news and culture source. The publication is now owned by Jonathan Davis and Dev Pragad. The outlet reported it has achieved recertification to TAG’s “Certified Against Fraud” program from BPA Worldwide. The recertification is independent and conducted by a third party. Pragad says Newsweek expects its direct advertising to grow by more than 100% this year. In fact, Newsweek’s recent uptick in year-over-year audience numbers is expected to help grow revenue. On average, the outlet counted over 32 million unique monthly visitors in 2018, with October showing a 17% uptick over 2017, January a 15% uptick over 2018 and February a 13% uptick over 2018. 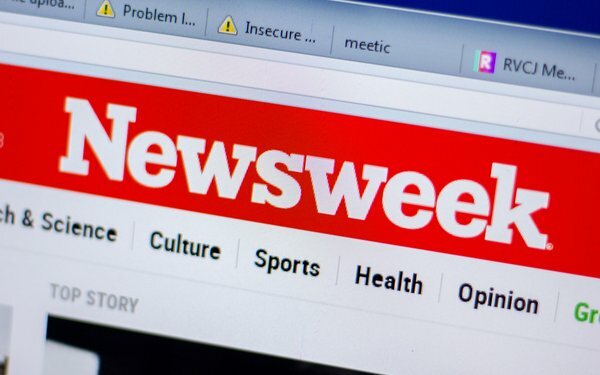 Newsweek is also considering how to diversify its revenue streams, though that has led to difficult decisions, such as sizing “the company so that we are profitable primarily with premium programmatic ad revenue aided by subscription and licensing business,” said Pragad. “This allows us to be nimble enough to conduct multiple experiments and see what works and what doesn’t and adapt,” he added. The company is actively working with leading partners, such as the SSP PubMatic, on growing its programmatic advertising revenue. Earlier this month, the outlet appointed James Green as Chief Revenue Officer, Shaun Hekking as vice president, ad sales and journalist and best-selling author Paula Froelich as editor of travel and lifestyle-managing editor of branded and native content.